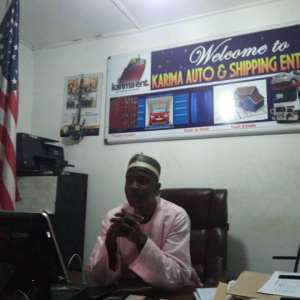 The Chief Executive Officer (CEO) of Karima Multi Company Limited, Mr Mohammed Aminu Osman has called on Ghanaian youth to show Seriousness in exploring opportunities to enable them to become self-reliable. This he said, would create more employment opportunities leading to self- sufficient in the wake of unemployment in the country. Mr Osman was speaking to journalists in Kumasi at the weekend. He described as unfortunate when most youths after graduation want to be automatically absorbed by the public sector and this he said has created more pressure on government employment opportunities. "Most Ghanaian governments have failed to create ready jobs for the youth and that it is incumbent upon the youth to take their own opportunities for creating jobs". He added. Mr Osman also challenged the youth to take entrepreneurship as a battlefield and exercise financial discipline in their lives. He said it was through these entrepreneurship ideas that have helped him to establish 6 departments of businesses in Ghana and USA with 25 strength staff members. Namely Door to door shipping, Farms, Educational complex, Estate developing, construction, general merchandise amongst others.